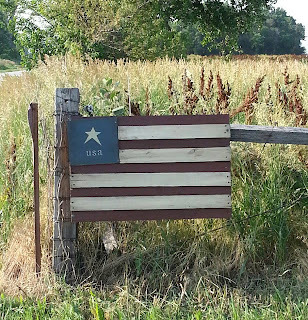 Just finished this flag today, it is made from a pallet. 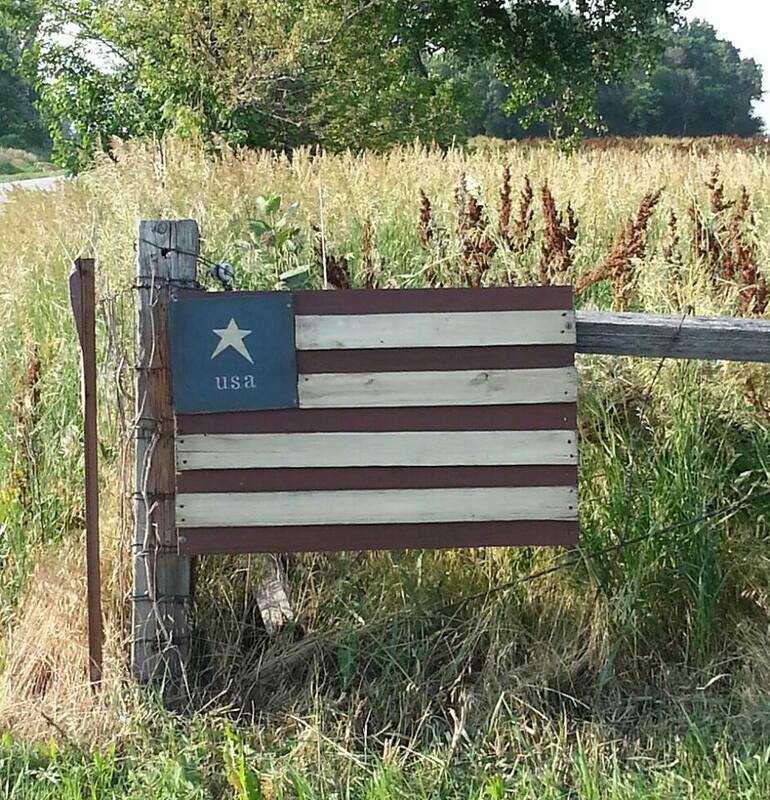 My husband put it up on the fence post at the end of our lane. Well, since the lane is 750 feet long, I can't see it from the house..but I know it is there. Happy Birthday America ~ The Greatest Country on Earth!